I took an absolutely ridiculous number of photos of this paint job. Seriously. I'm so embarassed about it that I don't think I can bring myself to actually tell you what the final count wa- oh, go on then, twist my rubber arm. And this was the only one of them that came close to doing it justice! My weapons of choice for this one were Essie Chinchilly, a grey creme with a slight purple undertone, and the gold glitter from Tenerife that seems to get a mention every other time I do a nail post. What can I say, I heart it. A note on the lighting conditions in these photos: The weather in London hates me and wants me to cry. That is all I can conclude from the truly terrible light that it throws my way anytime it sees me getting my camera out. All of these pictures (and the other 68) were taken indoors without a flash, but the one of my nails was taken during a split second of proper bright daylight that was nowhere to be found when I was taking the rest. Bah! Hi Lynnie - this is gorgeous! long overdue comment to tell you how much I love all your TalonTastic Thursdays!! And also your articles for beaut.ie. I bought Lancome BB Sand at Christmas having seen it on you so might try out this with it! 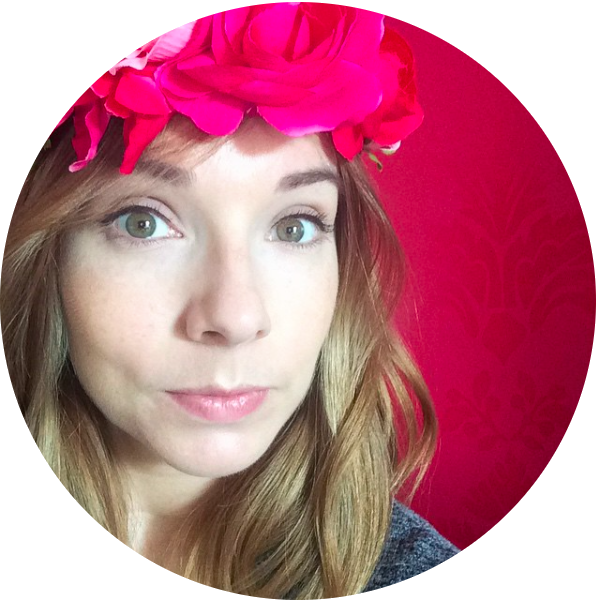 i follow ur posts all the time on beaut.ie but never realised you had your own blog! i just gave a quick scan back through your old blog posts tagged 'holidays'...did you do any posts about your holiday in california and vegas last year? planning mine at the moment! Pixie, I didn't, although I had great intentions of doing one! Am terrible for putting the ol' holiday posts on the longest of long fingers and then never getting around to them. Is there anything in particular that you'd like to know? Beautiful glitter love it!! The mani came out gorgeous! 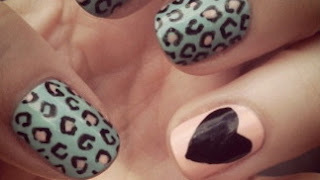 Ooooh J'adore these nails. Absolutely fabo! I'm not usually that into nail art but this is so amazing! You have talent for sure! Great idea, I'm totally trying it sometime!!! Just stunning! I have the Leighton Denny in Supermodel but gots ta get me a gold sparkle to try this look. This is just beautiful! I found the photo of this on Pinterest and had to come over here to see how you did it. It's going to be my next mani! 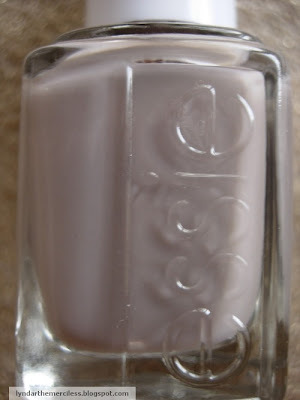 I never wear nail polish but this is just absolutely beautiful, so ethereal and delicate. I found this picture on Pinterest as well, and had to find out how you did it. This mani is beautiful!!! 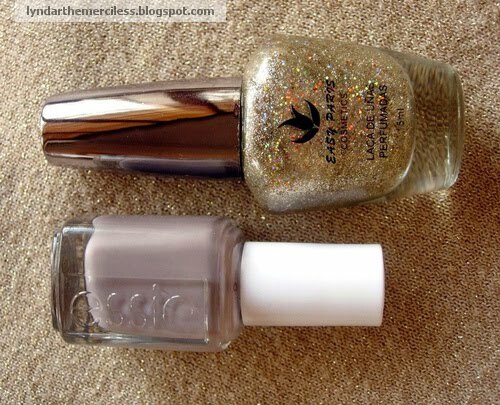 I have the Essie shades readily available, but I've never seen the gold glitter brand before. Can't wait to try my own version. Very inspirational! AMAZEBALLS!!! saw this on pinterest and im def trying it! Julie / Bourbon & Pearls / Katherine / DALLIANCE - aw thanks! Hope it works out for you. 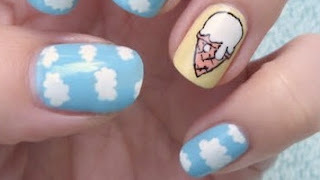 Laura - what a great round-up of inspirational nails, thanks for including mine. 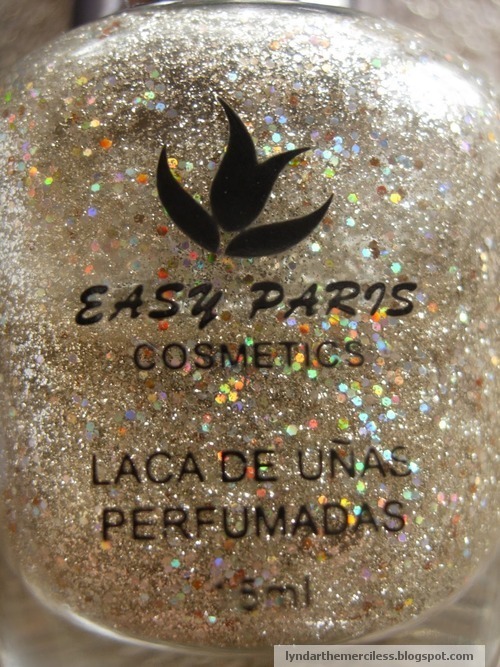 Where I find this glitter? I also found you on Pinterest. I have chinchilly which I LOVE. Once my nails grow back out(all broke after two days of painting)I am going to try this. hey!!!! me encanto tu post!!! te sigo por love meagan!!!! saludos desde MEXICO!!! I can't tell from the picture, but is the glitter made to look like trees? I tried it but it didn't look like yours! Maybe I need to drag the gold polish with a toothpick or something? can you tell us how you got that look please? Thank you so much! Love all your posts! You'll be skinned alive by the beauty blog community for stealing photos. Major No-No. A public apology MIGHT save your following. This looks TERRIFIC! And it looks like something I could do after a manicure starts to pull back from the tips! AWESOME! Courtney K. - thank you! Can a non-professional purchase the Tenerife polish? I've been scouring the net looking for it. It's beautiful! Anonymous - this work and all the photographs of it (together with the other 70-odd pictures that I didn't publish!) are mine. If you know of someone that's claiming otherwise, I'd appreciate your letting me know so that I can take appropriate action against them. So cute it turned out so good! im so trying this asap! Hi Melissa, I've never been able to find it online either so I only use this bottle very occasionally! To the best of my knowledge it's just a cheap consumer polish that my sister picked it up in a corner store, which is probably why it's so hard to find. I know I am late to this but that manicure is sick! LOVE it. Murai - better late than never, as they say ;) Thanks for visiting! Your picture is posted on e.l.f. blog and it's not credited! They cropped out the watermark and posted it as if it were their work. I don't think that's professional of them at all so I'm just letting you know. People should be given proper credit where it is due. Thanks for your visit and for letting me know, Anonymous :) Have been in touch to ask them to provide proper credit and a link. 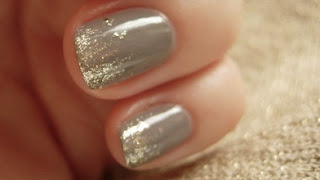 Where can I buy the gold glitter polish here in the states. I'm afraid I don't know of any stockists of this gold glitter polish. Any gold glitter with small particles should do the trick, though, once it's suspended in a clear base. I think that polishes like Nicole by OPI Brilliant Idea, China Glaze Medallion (or Cleopatra), Sephora by OPI Looks Like Rain Dear, OPI Spark de Triomphe, NYX Gold Sparkle, or LA Colors Gold Sparkle would all be quite similar. You could also use gold craft glitter. OMG GOrgeeeOUS! I actually thought it was an olivey colored base color. Anyways must try it! Wow! I am a huge fan of this look. I've got this kind of golden nailpolish at home but I'm not so sure if I have a good polish that goes well with the gold. 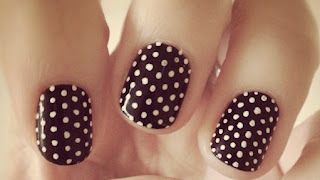 Seems like I have yet to buy another nailpolish if I wan't to try this look. And I really really want to. So I obviously don't have a choice. Thanks for sharing!